I started fooling around with songs and themes when I was studying classical piano in grade school. ‘Experimenting’ is probably a better word. I wrote songs in high school when I started playing jazz piano in restaurants and bars. I didn’t start composing to any kind of moving images until I moved to Los Angeles in 1987 after college. What was the path or the turning point that landed your first major TV scoring gig? After a brief stint playing with the Disney World College Orchestra in Florida I got a job in Los Angeles working for a computer music company that made one of the first samplers and digital audio recorders. 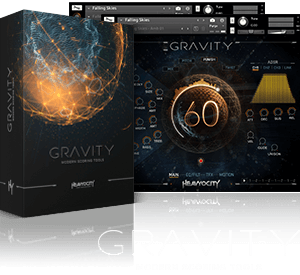 I assisted composers who pioneered the early use of this technology and got chances to moonlight for them doing arranging gigs and playing on their projects. Mark Snow (composer of “X-Files”) and I got to know one another and he gave me a shot orchestrating on a Christmas project he was scoring. We hit it off. Great person, great teacher, mentor, and now, dearest friend. He suggested to (Executive Producer) Joel Surnow that I might be a good fit for Joel’s USA series “La Femme Nikita” in 1996. Things really began for me there with Joel, thanks to Mark and his generosity. Joel went on to create “24”, and he brought me along with him. I didn’t know much about 20th Century composers when I was younger, so for me my eyes and ears were blown wide open by Stravinsky, Debussy, Varese, and Ravel among others when I went to college later at the New England Conservatory. I was particularly new to Stravinsky, and hearing Le Sacre du Printemps for the first time was particularly jaw dropping. With regard to film scores, John Williams continues to inspire me, from my childhood to modern day, which is pretty incredible. Jerry Goldsmith, Bernard Hermann and Carl Stalling will always remind me how much harder I have to work to approach even an inkling of their craftsmanship and artistry. I tend to compose in the early morning (rather than late into the night) and try to be done near the end of the afternoon. I’m older and can’t pull all nighters anymore. Also, the phones don’t ring in the early morning, your mind is fresher after sleep (assuming you’ve gotten some), and if there’s any kind of writer’s block, it’s better to have it at 11 am rather than 11 pm. In scoring an episode of a series where you have anywhere from 12-24 cues to compose, I tend to want to tackle the most challenging music cues first, if possible. At the core of it for me, I suppose, is the notion of being as present and aware as possible when working with the picture; paying attention to the emotions and instincts that may (or may not) arise as you are watching a scene for the first time. That first experience / first thought has a pureness to it because it’s spontaneous and not manufactured in any way. Now, this is not to say that that very first thing I feel or experience is the absolute correct way to proceed compositionally. I’m only suggesting that noticing what you notice is valuable. Bruce Broughton said in a master class once that composing for film is a combination of one’s artistry and craftsmanship. I thought that was a superb way to describe it. You honor your artistic and natural instincts while relying on your training to make these musical ideas work within the framework of the picture you’re working with. As a composer who generally is working on multiple shows or projects at once — how do you manage that? Is it difficult to be involved in scoring multiple shows at once? The past few years have brought a bit of a tectonic shift in the way production schedules are organized, partly because of the evolving ways we enjoy entertainment. Series are in production year round now. Summers used to have weeks of repeats on television. That is not the case anymore. The popularity of streaming services like Netflix and Amazon further increase the demand for good content. Many series can also have shorter seasons. Years ago there was a network standard average of about 22 episodes / season, now it is not uncommon to find 7,10, 12 episode seasons for some shows, so composers are able to manage different projects, overlapping occasionally. It does require logistical planning, though, without a doubt. And it’s happening with everyone working in music, whether you’re a music editor or music supervisor. Tell us a little bit about your studio setup. I use Logic X on one computer, with a bit of older analog gear which I still love using. I have an old Synclavier sampler that still sounds wonderful, and its 128 button keyboard still makes sound designing so fast. I print everything into Protools on a separate computer. I have a PC running VE Pro which is a workhorse that more or less stays running in the background with sounds that I rarely touch or edit. I do enjoy doing sound design and I try to keep that available on the main Logic system as it is easier and accessible there. I love, LOVE Heavyocity. Their libraries always sound amazing and they are designed in a way that very much inspire creativity. They are easy and intuitive to use, which for me is hugely important. If a library is too complicated to use, you tend to not use it. Not so with Heavyocity. 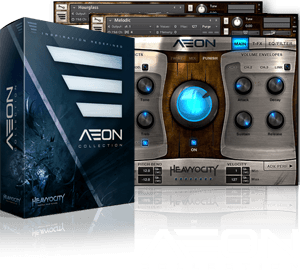 Heavyocity Products Sean uses: GRAVITY, AEON, DM-307, EVOLVE, DAMAGE, and both Master Sessions (Ensemble Drums and Ethnic Drum Ensembles).